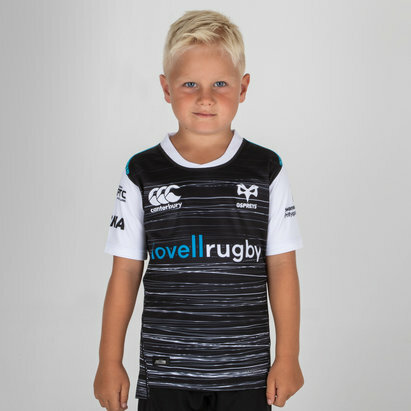 Hit the Liberty Stadium in those famous white and black colours this season with this Ospreys 18/19 Infants Home Rugby Kit. 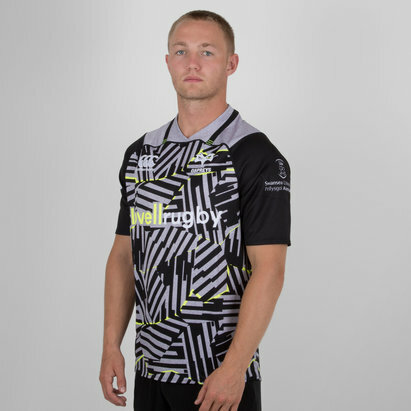 The linear design of the new home kit is inspired by the unity of the Ospreys team and their supporters, the ‘Made of Many’ campaign - a nod to the people and clubs across the Region which the team represents. It is that bond which enables the team to focus on success and interweave passion into their performance. 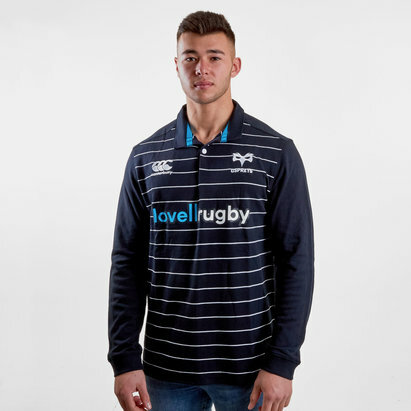 This home shirt is black with white, uneven pinstripes running across the body. the sleeves and collar on this jersey are also white. There is also an electric blue strip across the shoulders which matches with the club's sponsor. The CCC logo is on the right whilst the club badge is on the left. 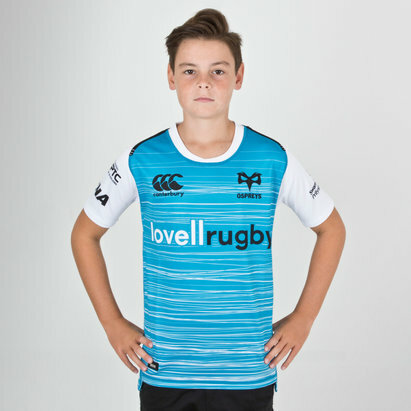 The club's new sponsor - Lovell Rugby - is across the middle in blue and white. The shorts are black with the CC logo and club crest on the right and left, respectively. 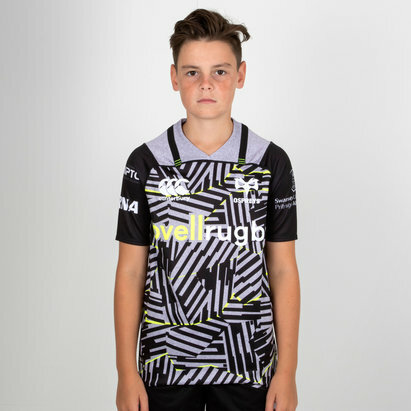 The socks for this kit are also black.